If you’re ever tempted to think that having poor credit isn’t something to worry about, then you likely haven’t looked for new credit in a while. That’s because consumers with low credit scores seeking a loan or credit card will quickly run into the real, tangible cost of bad credit: high interest rates. 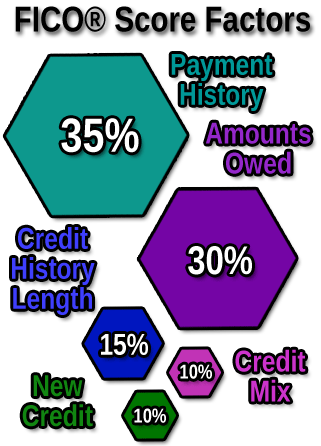 Depending on the product, the rate charged someone with bad credit can be more than twice what a good-credit borrower is offered. But, that doesn’t mean you should take the first offer you see. With poor credit, it’s even more important to compare costs for any credit product to ensure you’re getting the lowest rates and fees possible. Personal loans are perhaps the biggest offenders when it comes to high-interest installment loans, with interest rates in the 30%-plus range not uncommon for subprime consumers. In a world where your score may preclude you from even being accepted, however, a high interest rate may be a secondary concern. The solution to both problems may be an online lending network like those below. Lending networks can have dozens of lender partners, allowing you to potentially receive multiple offers from a single application for easy comparison shopping. Although finding the lowest interest rate will certainly save you money in the long run, there are other ways to influence both the size of your monthly payment and the total cost of your loan. Specifically, the length of your loan term — how long it takes you to repay it — can be a major factor in the cost of your loan. In general, a longer loan term will mean lower monthly payments, but a more expensive loan overall. That’s because of the additional interest fees you’ll be charged for the extra time. Conversely, you can save money on your loan by choosing a shorter loan term with higher monthly payments. Credit cards can be a great way to save on interest fees for smaller, short-term purchases thanks to the grace period offered by most cards. In essence, most cards give you at least 21 days from the close of your statement to pay your bill. If you pay it in full before the due date, no interest will be charged on those purchases. The grace period means that you can get three weeks (or more) of interest-free financing, and what’s a lower rate than 0%? Credit cards for bad credit, like our picks below, may come with extra fees and lower limits, so be sure to shop around and compare your options before applying. Given that not every credit card offers a grace period, be sure to read your cardholder agreement carefully to see if your card has one. Also, it’s important to understand that the grace period only applies to new purchases, not to other transactions like balance transfers or cash advances. In cases where the grace period doesn’t apply, transactions will start to accrue interest as soon as they post to your account. If this happens, be sure to make a payment as soon as possible to limit the amount of interest you’re charged. Part of the reason personal loans are so expensive is that they’re typically unsecured loans. Auto loans, on the other hand, are usually secured loans for which the vehicle you purchase acts as collateral. 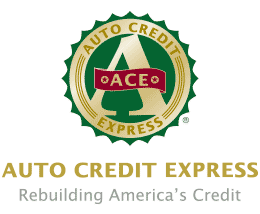 This helps keep rates lower for auto loans than usually found on unsecured loans. Even so, with bad credit, the rates will still be much higher than they would be otherwise, making it important to compare options. Online dealer networks, such as those below, can be a simple way to find and compare local dealers that can help you find the financing you need. If you’re having trouble obtaining an auto loan due to a low credit score, then providing a down payment or trade-in vehicle can be a good way to improve your approval chances. Basically, by reducing the amount you’re asking to borrow, you’re reducing the amount of risk the lender will need to take. Depending on the nature of your trade-in vehicle, you may be better off trying to sell it yourself, rather than trade it in with the dealer. In general, you’ll get more value for your vehicle by selling it, making the extra work potentially worthwhile. Similar to auto loans, home loans are secured by the property they’re used to purchase. Home loans are also typically the longest type of loan, with a traditional mortgage repayment term extending 30 years. Combined, these features mean home loans tend to have low interest rates simply by nature. At the same time, home loans are some of the hardest loans to obtain when your credit score isn’t up to snuff. With a bad credit score, finding a lender will often be the most difficult step. An online lending network, like those below, can help reduce the amount of work by connecting you with multiple lenders through a single application. A variety of factors — beyond your credit score — will impact your ability to qualify for a home loan. For example, your debt-to-income ratio — how much you currently owe on all of your debts over your gross monthly income — will be the primary factor that determines how much you can borrow. If the PITI payments for the loan you wish to obtain would push your debt-to-income ratio too high, the bank will consider the loan too expensive for you to repay. In other words, a high debt-to-income ratio can lead to a quick rejection. Depending on your situation, there may be a few things you can do to qualify for a lower interest rate on a loan or credit card. The most obvious of these, of course, is to improve your credit score, which is often easier said than done. One of the quickest ways to see credit score improvement is to pay down any credit cards with high balances, particularly those that may be close to maxed out. This will, in turn, reduce your utilization rate, which contributes to up to 30% of your credit score. Since most issuers report your balance to the credit bureaus monthly, paying down credit card debt can see your credit score improve in as little as 30 days. If boosting your credit score isn’t a viable option, you may be able to secure a lower rate by offering collateral or, in the case of secured loans, improving the size of your down payment. This decreases the lender’s risk and may encourage more rate flexibility. Lastly, you may be able to essentially borrow the good score of a friend or family member. Having someone with good credit cosign for your loan can not only boost your chances of being approved, but a cosigner may also help you qualify for a lower rate. Cosigning isn’t for everyone, however. Cosigners are basically agreeing to take responsibility for the loan in the event that the primary borrower can’t repay the debt. So, if you default on your loan and it winds up in collections, your cosigner will be legally responsible for repaying the debt. Moreover, cosigned loans will appear on both your credit report and that of your cosigner. This means that any negative behaviors, such as delinquent payments, will negatively affect the credit score of both borrowers. And, if the worst happens and you default on your loan, your cosigner’s good credit can tank just as quickly as your own credit score. Given that defaults remain on your credit for seven years, be sure you can responsibly repay any loan before asking someone to cosign it. Although it can sometimes seem like an intangible concept, having bad credit has real, tangible costs — not the least of which is paying more for every cent you borrow. High interest fees not only make credit cost more, but added fees can also extend the amount of time it takes to pay off debt, leaving you in debt longer. But bad credit isn’t forever. You can improve your credit over time, and that not only improves your ability to qualify for new credit, but also unlocks lower interest rates and better quality offers. In most cases, however, the most important tool you have is time. Rebuilding credit isn’t an overnight process; it can take months, or even years in some cases. The best ways to improve your credit score is to build a positive payment history by ensuring you always pay your debts on time. Taking advantage of tools, such as automatic bill paying features, can be a simple way to avoid late payment. You should also work on paying down existing debt, maintaining low credit card balances, and limiting the number of new credit accounts you open.